After a long hot day of driving, there’s nothing better than popping one’s top in a shady campsite, and popping a cold one from the fridge. Like most RV refrigerators, the Dometic RM 182 B used in 1980-1991 Vanagon Westfalias must be operated in a level and upright position, to prevent permanent damage to the internal cooling element. 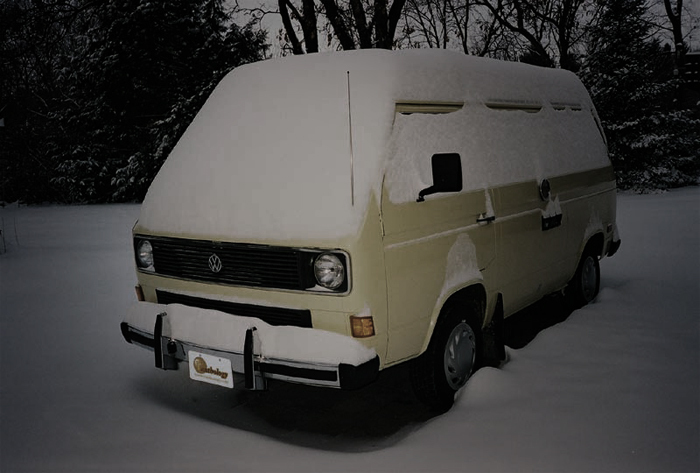 The 1983 Vanagon Camper Owner’s Manual specifies no more than 8 degrees out of level. Driving up and down hills, of course, does no harm, but parking on an incline for any extended period must be avoided. 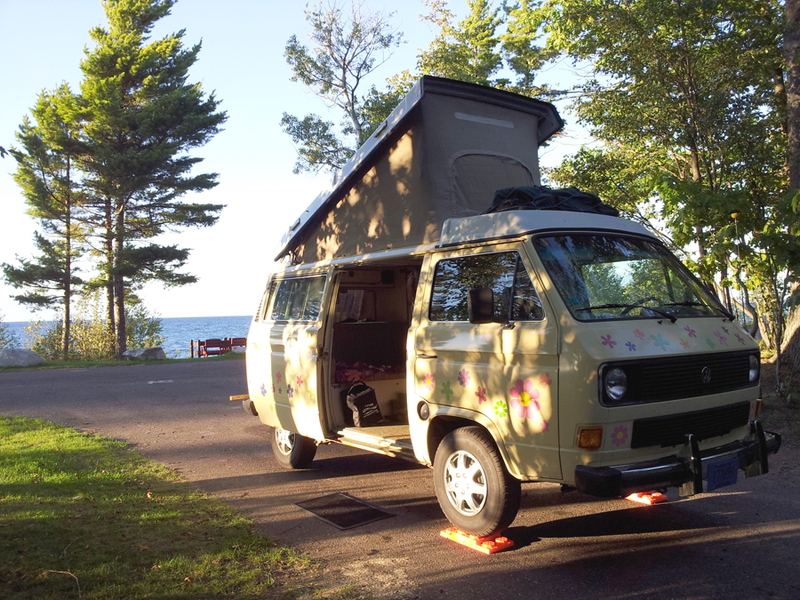 So when choosing a campsite, it is crucial to find a reasonably flat and level parking spot, then fine-tune the van using some sort of leveling ramps or blocks. Stack the interlocking blocks to create a solid ‘ramp’ on which to park. Start by eyeballing the situation as you park (every Westy pilot soon develops this keen skill), then set the parking brake and check your RV bubble levels to determine which wheel(s) are too low. 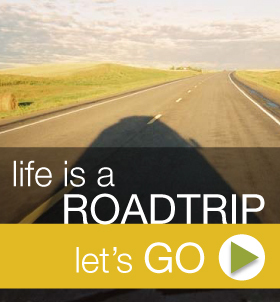 Either have a partner disembark or, if traveling solo, go to that low wheel. Position a leveling block just ahead or behind that tire, then carefully drive up onto it. 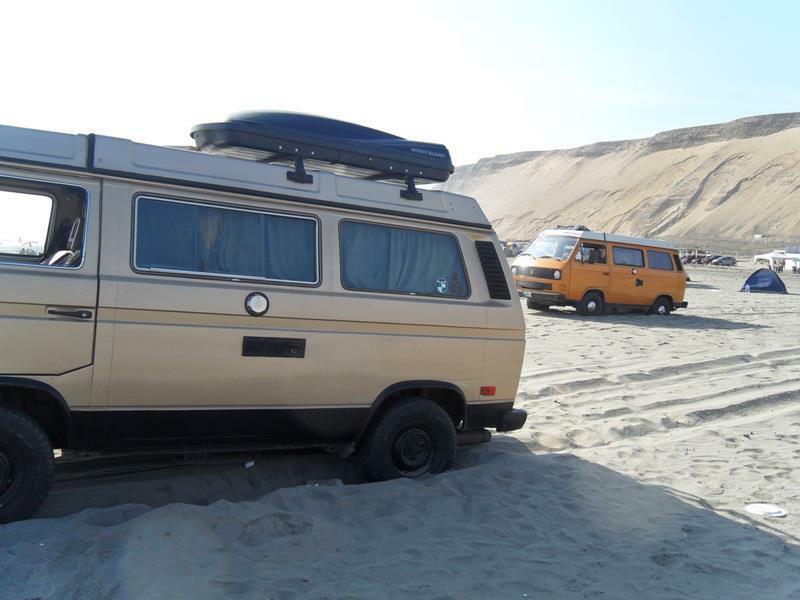 Recheck your levels and repeat as needed until your Vanagon is within 8 degrees of level in all directions. These leveling blocks are about one inch in thickness. If you need more height than that, simply stagger and stack multiple interlocking blocks to build a small ramped ‘pyramid,’ easily driven atop. When departing, withdrawing the blocks is equally simple: carefully drive off them, stow them away in their included zipper bag, and hit the road. 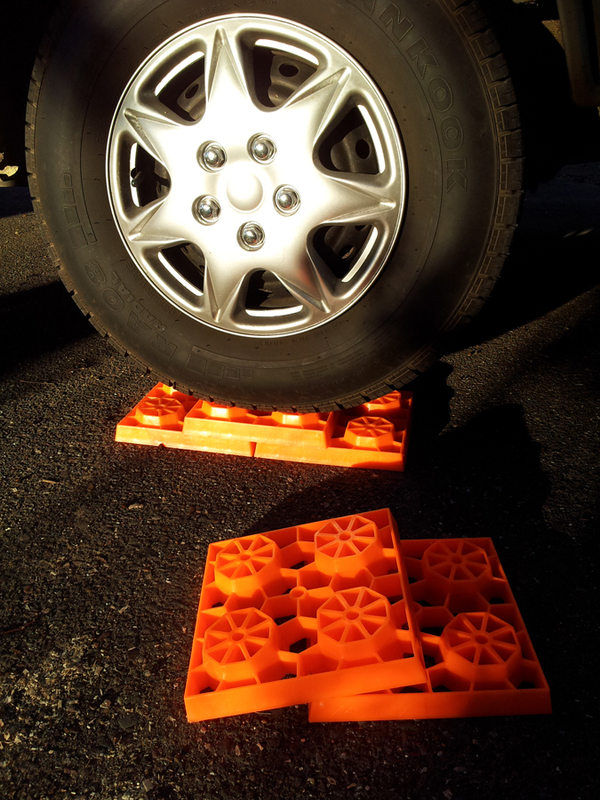 In fact, in a pinch, these blocks can even be used as improvised sand ladders to help you get unstuck from sandy or muddy situations. The Tri-Lynx “Lynx Levelers” include ten sturdy interlocking blocks, packed in their own zipper pouch. The whole pack fits nicely under the Vanagon rear bench seat, and are a smart solution to a common problem. What do you think? Leave a question or comment below, and use the social links to share with friends!